At the core of service is a shared goal – to make a difference. AmeriCorps members serving in local communities across the nation set out to address some of our nation’s greatest challenges, like poverty and access to quality education. They realize that change and growth isn’t the work of one, but the shared strength of many. By providing skilled leadership and modeling a commitment to service, AmeriCorps members activate and inspire communities to create lasting, positive change. You won’t find an individual much more passionate about spending time serving in the community than an AmeriCorps member. And that’s why they are the “best of the best” when it comes to mobilizing communities to volunteer. 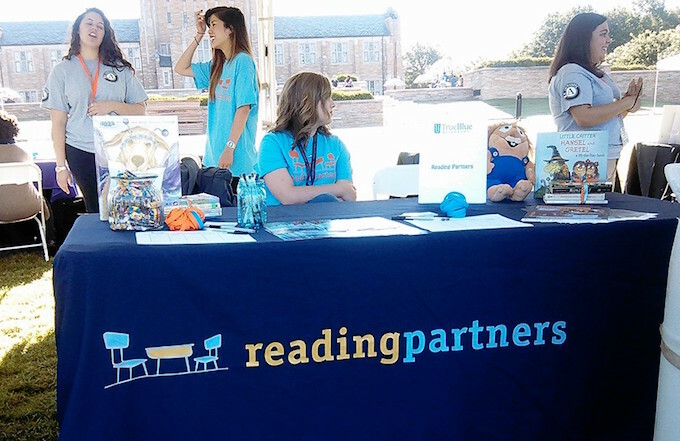 In fact, this year 21 AmeriCorps members serving as volunteer coordinators at Reading Partners will recruit and facilitate 14,000 volunteers working one-on-one tutoring kids in reading. AmeriCorps members are also creative thinkers, and find new ways to get people involved. Volunteer coordinators like Nick Hamrol in Silicon Valley and Alexis Acciani in Baltimore have helped enlist corporate and community partners like Crystal Springs, College of San Mateo, Amazon, UPS, and more to contribute hundreds of volunteer hours to helping kids learn to read. They’ve also found innovative new ways to get volunteers involved; executing the collection and distribution of more than 30,000 books, launching a tutor ambassador programs, and engaging high school students via text messaging. 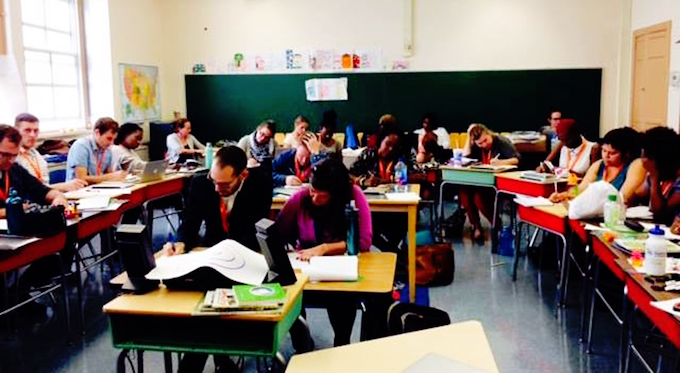 AmeriCorps members are inspiring teachers and leaders. Through programs like Reading Partners and Habitat for Humanity, AmeriCorps members equip community volunteers with the tools and resources they need to accomplish extraordinary things, like jumping two grade levels in reading or building a house for a family. 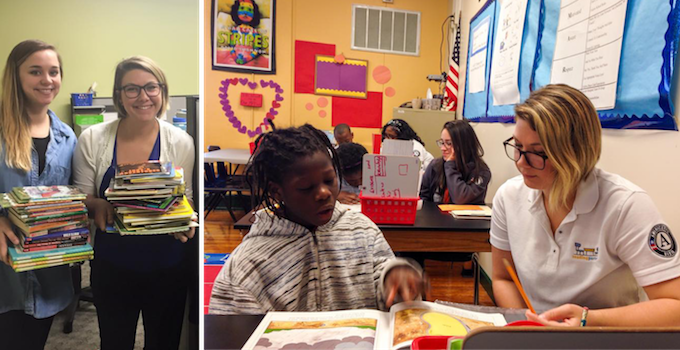 This year alone, AmeriCorps members serving with Reading Partners will spend hundreds of hours training and coaching volunteers to provide effective reading support to kids in need. In the Twin Cities, one site coordinator is going above and beyond to ensure Reading Partners is engrained in the school culture. In addition to spending her working hours training and supporting volunteer reading partners in the reading center, Grace Herndon spends her lunch hour serving food to students in the cafeteria at Hamline Elementary. Her passion a commitment to ensure the wellbeing of students at Hamline encourages volunteers to bring the same commitment to helping students learn to read. Everyday AmeriCorps members are doing work to make a tangible difference in the communities they serve. They work hard, get things done for the betterment of humanity, and do it all on a budget. Their stories of service are awe-inspiring and motivate others to #serveAyear. Tom Martin’s story of service is particularly inspiring. Having learned about Reading Partners through a local church, Tom started volunteering. 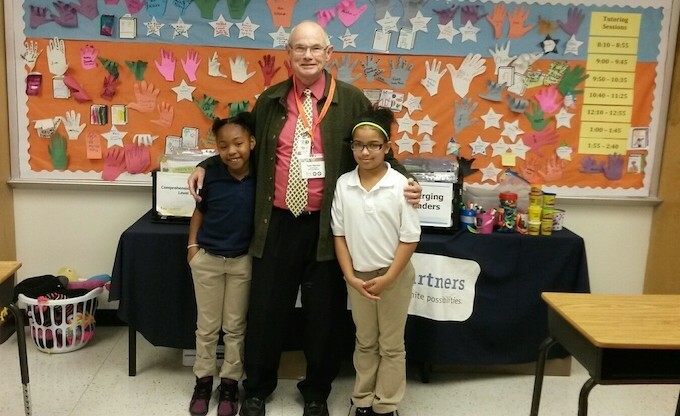 When he heard the Texas Reading Partners team was looking for individuals to serve as AmeriCorps members, Tom decided to come out of retirement and transition into a school classroom. 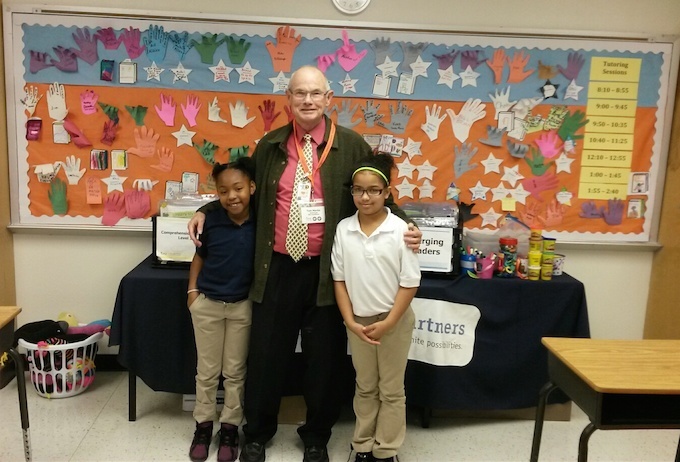 After a career in sales, the former Air Force officer found a new passion for education and service as a Reading Partners site coordinator. For AmeriCorps alumni, their commitment to making a difference lasts well beyond their year of service. More often than not, AmeriCorps members continue their mission-driven work, entering service-minded career paths and turning their passions into careers. Kate Brown is one of the many AmeriCorps members whose work with Reading Partners has blossomed into a career pathway. After two years serving as a development coordinator*VISTA in Charleston, Kate joined the team as a full-time development coordinator. Kate now spends 40 hours a week securing vital funding and community support for Reading Partners Charleston. Each member serving a year with AmeriCorps has a unique and inspiring story of service. Share your #IamAmericorps story with us online. Don’t have an AmeriCorps story yet? Find out how you can join the movement.